But on disk I have more files? Where are they? 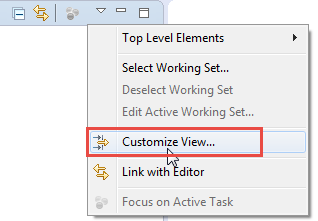 💡 I’m using Eclipse Luna (4.4) in this post, but things are very similar for earlier versions of Eclipse. 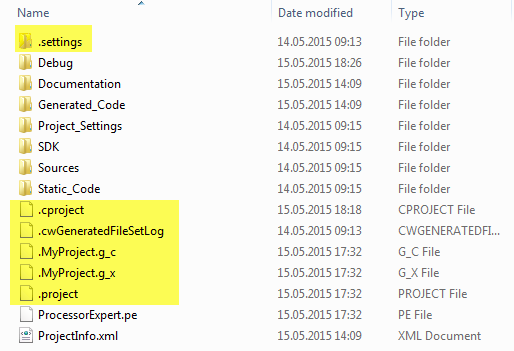 File System has more Files? 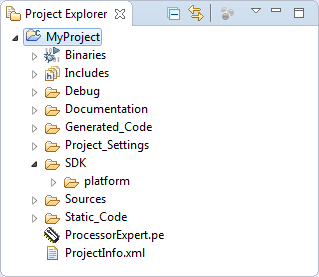 Obviously, files and folders starting with a dot (‘.’) are not shown in the Project Explorer view. 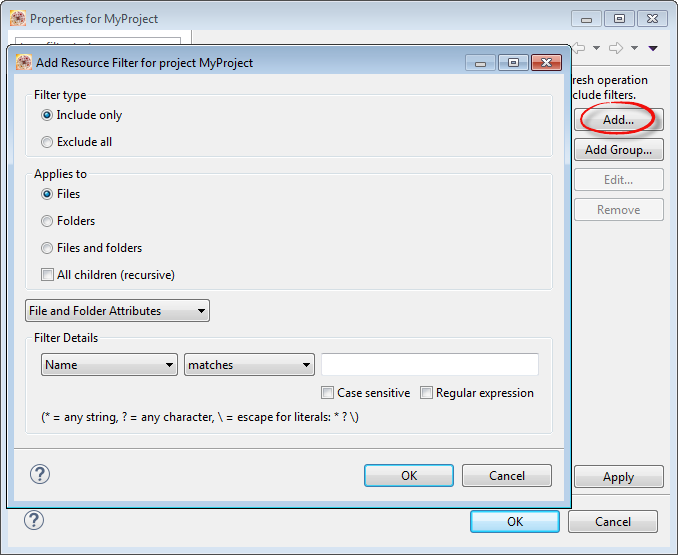 The list of filters in the project view is provided by the plugins. 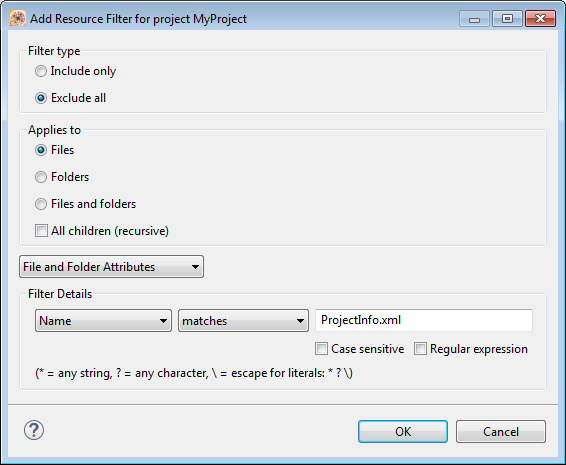 And unfortunately there is no way to define my own filters in the above dialog, unless I would implement my Java plugin. 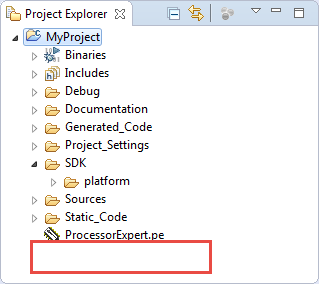 Defining my own filters without programming things is possible, it is just in a different place :-). 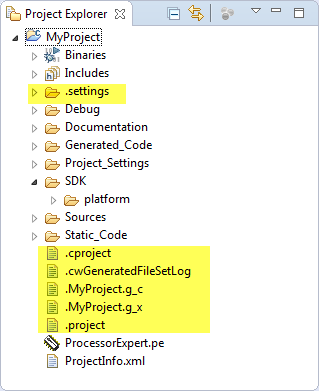 With that, I can build any kind of filters. 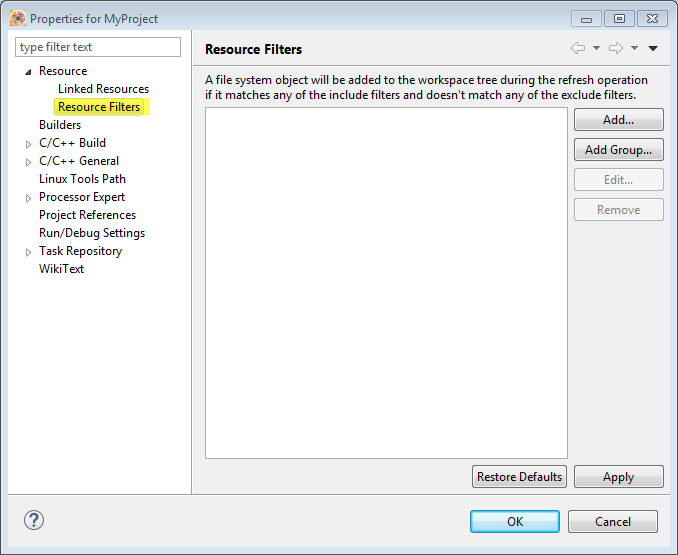 The Eclipse Project Explorer view has a setting to turn on/off filters for files/folders, or in general to configure the view. 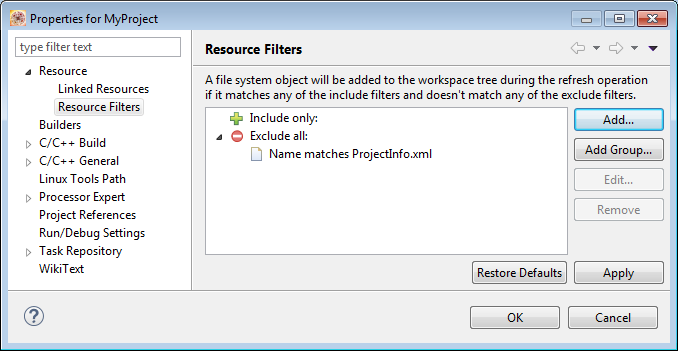 I can use project resource filters to define my own filters too. 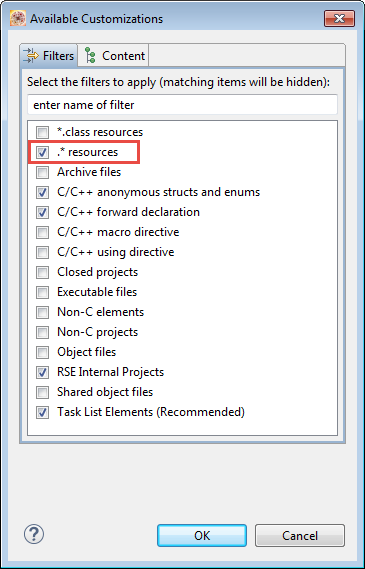 This entry was posted in Eclipse, Tips & Tricks and tagged Eclipse, technology, Tips&Tricks by Erich Styger. Bookmark the permalink.